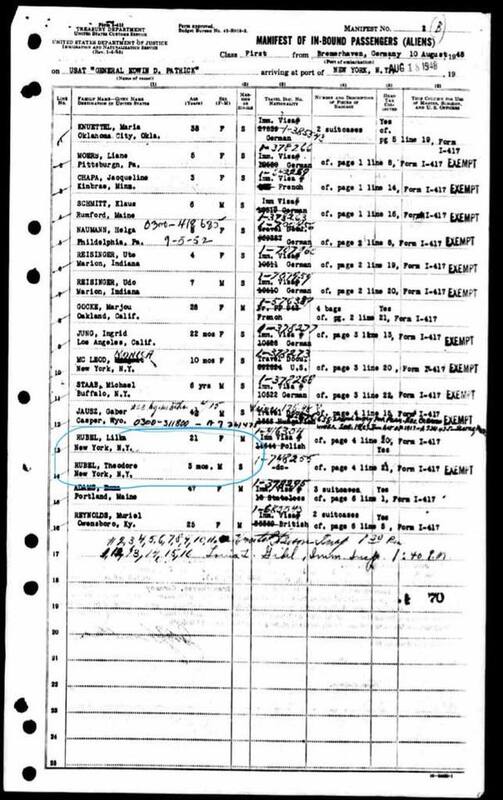 Like many Jews in America, my grandfather survived concentration camps in Nazi Poland and Germany to arrive here in hopes of making a new life during the 1940’s. It wasn’t a hospitable time (to put it mildly) and as part of his journey towards citizenship, my grandfather joined the merchant marine. The rules for citizenship were supposed to be straightforward — serve 3 years in the US armed forces or 5 years in the merchant marines and you would be eligible for citizenship. Give us your service and get citizenship in return. Except that a little more than two years into the merchant marines, the army decided to take him and send him to Europe to help the war effort as an interpreter. He spoke several languages and they thought he could be put to better use. Except when his five years was up… they told him that his time in the merchant marine and his time in the US armed services couldn’t be combined. The red tape was blocking the door to the courthouse. The story was recounted in this Kilmer Eagle article. 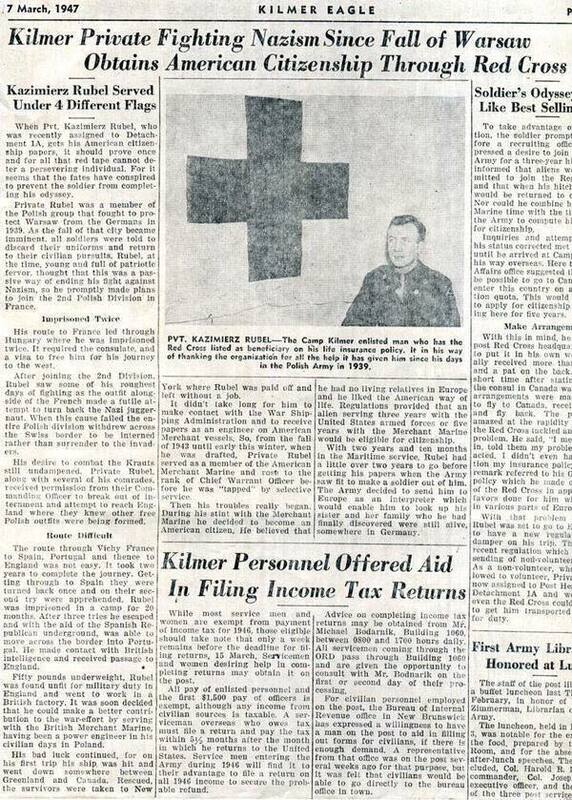 Luckily, the American Red Cross was able to intervene on his behalf and on this date in 1949, he walked out of the courthouse in downtown Manhattan, a naturalized citizen of the United States of America. 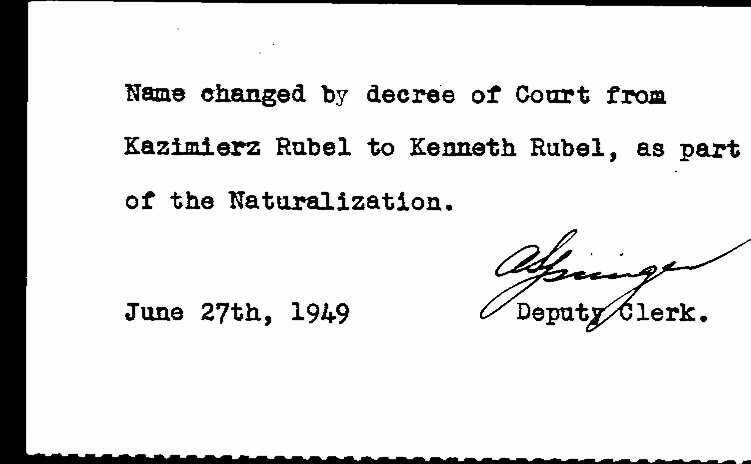 I had thought that this made my grandfather the first US citizen on that side of our family, but it turns out I was mistaken. 10 months prior, my uncle Teddy arrived. Since he was bore on a US base in Germany three months prior to his arrival, he was listed as “exempt” on the ship’s manifest, being born a US citizen abroad. 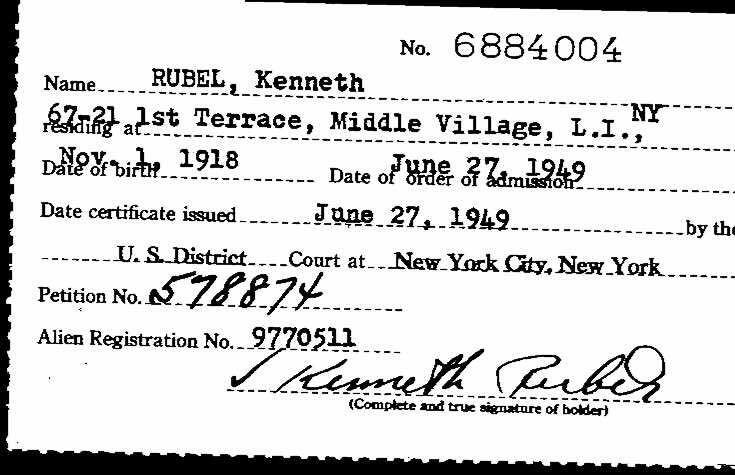 Yes, the first US citizen in my family appears to have been what some would now call an “anchor baby”. On Sunday, God-willing, I will become an elected representative. As you look at pictures of kids in cages this week, imagine what their children could be — here. This entry was posted in Bureaucracy, Family on June 27, 2018 by Keith.